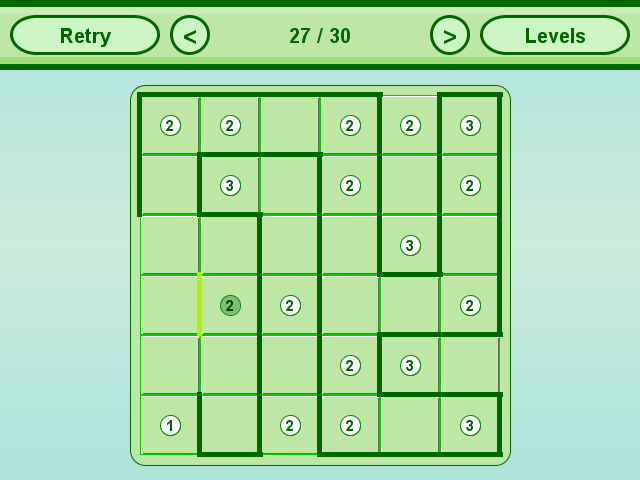 ApoSlitherLink is a logic puzzle. You play it with your mouse. Left click to set an edge and write click to block that edge. - Moving clouds and a nice star. The objective is to connect horizontally and vertically adjacent edges so that the lines form a simple loop with no loose ends. In addition, the number inside a square represents how many of its four sides are segments in the loop.